Emeritus Professor Ralph Kirsch was a distinguished, well-known and much admired medical personality in South Africa and internationally. His eminence is founded on a lifetime of contribution and achievement in the arena of internal medicine, liver research, medical education, administration and leadership. He served South African health sciences at the highest professional, organisational and institutional levels. A 1964 medical graduate of the University of Cape Town (UCT), he obtained his MD in 1968 for his studies on malnutrition, and the FCP (SA) in 1970. In 1972 and 1973 he was a Fogarty Post-Doctoral Research Fellow in the Division of Gastroenterology and Liver Diseases of the Albert Einstein College of Medicine in New York - this appointment cementing his lifelong interest in chronic and acute liver disease (refer to Terblanche and Saunders - obituary SAMJ, this issue). His scientific and research career spanned many topics. He published in such fields as the modelling and regulation of protein metabolism, 'ligandin' and the glutathione transferases, the role of fibrin(ogen)-derived products in disease, angiotensin-converting enzyme, viral hepatitis, hepatic iron and liver injury, portal hypertension and porphyria. His prolific research was documented in several hundred papers in international medical journals, and many chapters in books. He was awarded a DSc (Med) from UCT in 1993 for his work on metabolic and clinical aspects of liver disease and especially for his work on ligandin and fibrinogen metabolism. Ralph was the Executive Director of the highly productive and internationally recognised UCT/MRC Liver Research Centre until his retirement. He held the second Chair of Medicine at UCT from 1982 to 1999, during which time he worked closely and most supportively with Solly Benatar. Ralph was a great admirer of previous physician/researchers in the UCT Department of Medicine and he strove with great enthusiasm and dedication to build on the foundations of his predecessors. His expertise in research was used to maximum advantage to support and grow research both within the Liver Research Group and in the Department of Medicine more generally. The annual departmental research day was a great source of pride to him and his enthusiasm for research among young investigators and clinicians was infectious. Apart from the application of his leadership and skill in research to medical scientific problems, he characteristically sought to apply arguments supported by data to administrative, policy and institutional strategies. He also played a major role in planning for the Department of Medicine in the New Groote Schuur Hospital (GSH) and for the move of the departmental research and administrative activities to the refurbished old GSH. In late 1999 he became Head of the Department of Medicine and for the last 5 years of his formal career worked tirelessly to achieve many admirable goals for medicine at UCT and nationally. Ralph was devoted to his alma mater to which he gave distinguished service as a caring and very popular physician, teacher, researcher and administrator. Never content to be a follower, he strove to provide leadership in a wide range of academic and professional activities. He was a long-standing advocate for fairness and non-discrimination and he held high office and played very significant and visionary leadership roles in many medical organisations and committees. Few will appreciate his immense contributions in the medicopolitical arena but such was his ability to get along with others, even those with convictions diametrically opposed to his own ideals and beliefs, that he was able to influence change, albeit a long and frustrating road in many cases - in some, the road remains incomplete. His powers of argument will remain legendary on many health-related issues of public, government and institutional concern. The organisations in which he served unstintingly included the Medical Research Council (Executive Council Member 1986 - 1990), the National Research Foundation, the South African Medical Association (at many levels since 1981 including President 2009 - 2010), the South African Association for Medical Education (Founding President 1984 - 1985), the South African Gastroenterology Association (President 1985 - 1987), the African Association for the Study of Liver Disease (President 1990 - 1992, 1994 - 1996), SHAWCO (Chairman Board of Management 1978 - 1979) and the Colleges of Medicine (President 2002 - 2004). He worked intensively over many years to sustain and improve the South African Medical Journal, was founding editor of Continuing Medical Education and was on the editorial board of many local and international journals. Post-retirement he served as a member of the UCT Council and as Council's representative on the UCT Research Committee. Among his many attributes were an abiding love of bedside teaching, boundless optimism, perseverance, commitment to excellence, loyalty, compassion for his patients and warm, generous, personal interest in younger colleagues, many of whom he dedicatedly shepherded through Doctoral degrees. His skill in mentoring was unique and of the 21 PhD students he supervised, many have gone on to hold distinguished positions locally and abroad. All of those whom he mentored will testify to his unwaivering support, enthusiastic championing of their ideas, hopes and dreams, and his ability to build their self-esteem and make them feel that they too, could achieve greatness. 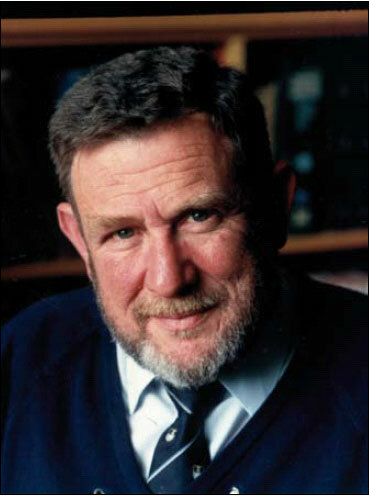 Among the many awards he received in acknowledgement of his work were the UCT Distinguished Teacher Award, Life Fellowship of UCT, Honorary Fellowship of many Royal and other Colleges of Medicine around the world, including the Colleges of Medicine of South Africa, the Bronze and Silver medals of the South African Medical Association, and a Gold medal from the Southern Africa Association for the Advancement of Science - one of very few medical doctors to receive such and one of the oldest and most prestigious awards for scientific merit in southern Africa. Ralph was a devoted husband, father, grandfather and friend to many. Beverley, his soulmate and companion, was a wonderful support for him and all his endeavours. He will be remembered with great affection and continue to be held in the highest esteem by family, and his many colleagues, friends, students and patients. His career and multi-faceted contributions as a leading clinical and basic scientist, educator and mentor will undoubtedly continue to be influential into the future. Ralph Kirsch was an exceptionally able physician, clinical investigator and teacher, as well as a mentor to many undergraduate and postgraduate students. One of us (SS) knew him as a student, as a research fellow and as a medical registrar, and the other (JT) was one of his rugby coaches in his student days at UCT. Both of us knew him well as a physician, and latterly as professor of medicine and as head of the department of medicine. He was also the caring and always available personal physician to members of our families over many years. Ralph was truly a doctor's doctor. It is, however, his role as a colleague in the Liver Clinic, the MRC Liver Research Group and latterly the MRC Liver Research Centre (that he and JT headed jointly) that we wish to reflect on more closely. Ralph was always meticulous, understanding and compassionate in his dealing with patients. They almost always formed a close bond with him, and his insights, guided by his profound knowledge of clinical medicine and liver disease, always shone through. In research he excelled whether in the intricacies of protein metabolism, in liver cell regeneration, in the problems relating to many forms of liver disease and transplantation and particularly in the field of porphyrin metabolism and the porphyrias. Like both of us, he was an active member and participant in the meetings of the International Association for the Study of the Liver (IASL) in many parts of the world, including the Cape Town meeting. His wisdom and advice will be sorely missed. He was not only our colleague but a very special friend.